Flat, plain base has single circular groove around incuse signature: ΚΡ̣[ΗϹΚ]ΕΝ|Τ[ΟϹ] (letters large and uneven). 2.5YR 6/6, light red. 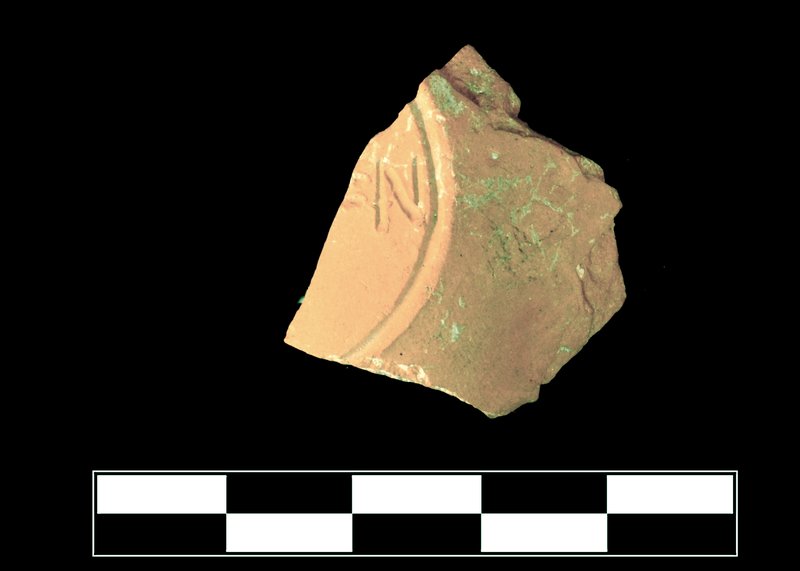 Early/Middle Roman Corinthian lamp fabric: hard, platy fracture, slightly reddish. Cf. KL143a/b+KL270. Two small, nonjoining sherds preserves roughly one-third of base and lower wall. Well preserved surface. 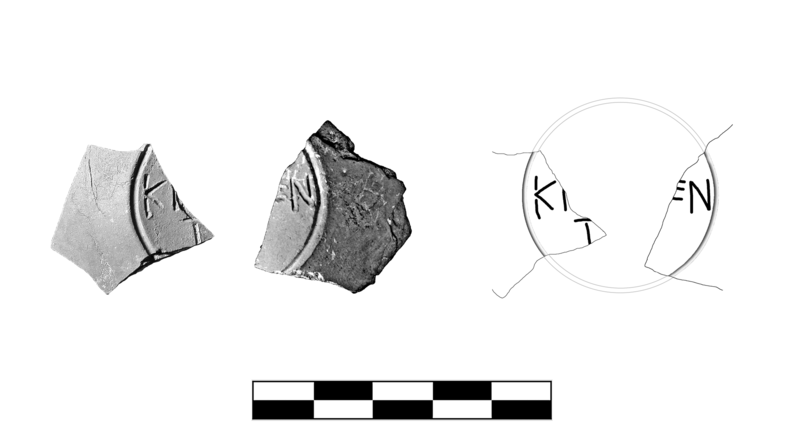 These sherds are associated with each other by fabric, quality of lettering, and size.